Blockbuster deal saves 2000 jobs and 264 stores | What Hi-Fi? DVD rental chain Blockbuster has been bought by Gordon Brothers Europe for an undisclosed sum, saving 2000 jobs and 264 stores in the UK. Gordon Brothers Europe, which specialises in company restructuring, says it can "bring new life to the chain". 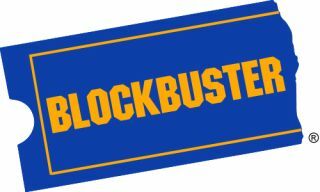 Blockbuster collapsed in January under pressure from internet retailers and video streaming from the likes of Netflix and LoveFilm. Hundreds of stores have already been sold off by administrator Deloitte. At the time of the collapse, Blockbuster had 528 stores and 4190 employees across the UK. Joint Administrator Lee Manning, says: "Having identified a profitable core portfolio of stores we are pleased to have achieved this sale for creditors. "This transaction provides Blockbuster a future in the UK and we owe a special vote of thanks to all the company's employees, suppliers and customers for helping us rescue the business." Commenting on the acquisition, Frank Morton, the CEO of Gordon Brothers Europe, says: "We are delighted to announce the acquisition of Blockbuster. We acknowledge the industry is in transition; we know that we have a challenge ahead but there is still a market to be served. "Blockbuster has a strong brand affinity and we believe that with the right mix of new product offering, new technologies, strategic management and marketing, we can bring new life to this high street staple. "We look forward to working with employees, suppliers, landlords and other stakeholders to make this happen."